These T.U.K. 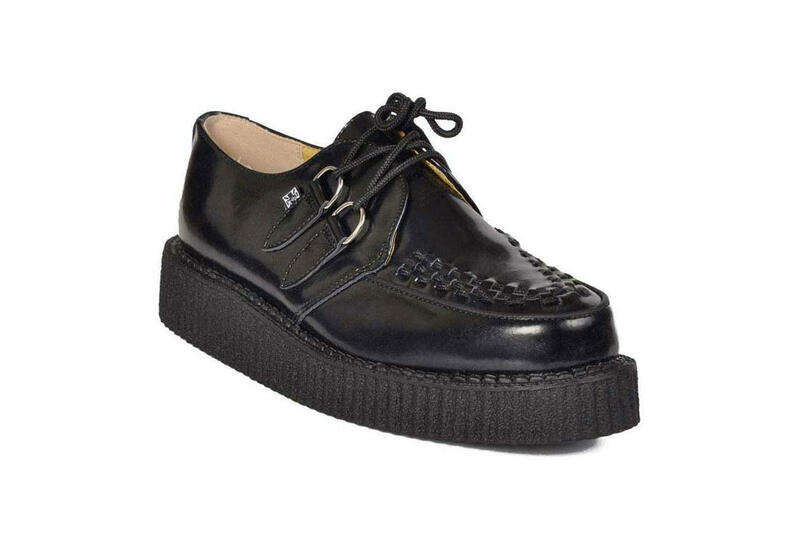 black low round leather creepers with D-ring lace up closure have a 1 inch platform sole. The toe is slightly rounded with black interlace to give it that classic creeper style.